Fill up and get in shape with healthy snacks that taste great. Because you can only eat so much chicken and broccoli. Whether you want to build muscle or lose fat, you have to eat enough and eat clean. Stock up on these healthy foods. When you have the right snacks around, you can stop cravings and get fit. Now who's hungry? 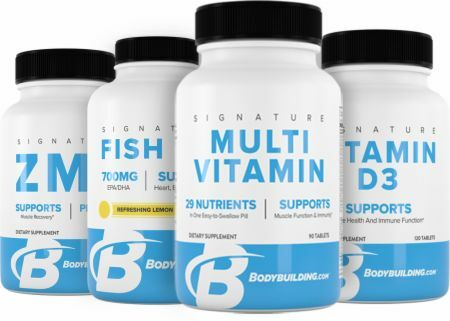 They have protein, complex carbs, and fat to give you long-lasting energy. Soybeans also are full of folate, vitamin K, iron, and magnesium. Pumpkin seeds have 7 grams of protein per serving, which is a lot. They don’t have any sugar and are great in salads, oatmeal, yogurt, or cottage cheese. No need to drain or carry around a can opener—all you need for this fish is a fork. Protein will fill you up even longer when mixed with fat or fiber. Mix some guacamole, which has both, into the pouch. Eggs are rich in BCAAs to help you build muscle. Boil a bunch to keep at work so you don’t head for the vending machine. Look for omega-3 enriched eggs, which are good for your brain. Greek yogurt is made by straining out the liquid. It can have twice as much protein as regular versions. It's also full of gut-friendly bacteria and bone-building calcium. Icelandic yogurt, called skyr, has even more protein than Greek yogurt. But flavored yogurt (skyr, Greek, or regular) can have added sugar. Enjoy it plain, or stir in some berries. String cheese is an easy way to get more protein and calcium. Reduced-fat versions have fewer calories. Full-fat string cheese is better for gaining muscle mass. Milk is a source of high-quality protein. The fat in 2 percent milk will help you absorb its vitamins. Organic milk is the most nutritious. Cottage cheese has tons of casein-28 grams in a cup. Casein is a slow-digesting protein so it’s great before bed. Some brands of cottage cheese have a lot of sodium, so read the label. Jerky is high in protein and low in fat, so it’s good for your muscles. You can find beef, buffalo, pork, turkey, venison, and even salmon jerky options. Protein bars are super convenient and feel like a treat. Keep them stocked in your gym bag and at work for a healthy, yummy snack. Just check the levels of protein, fat, and carbs to make sure they’ll keep you on track. Single-serving packets of nut butters are portion-controlled and ultra portable. Almond, hazelnut, peanut, and sunflower seed butter are all good options. Look for packets with the least amount of added sugar. Celery is 95 percent water, making it a perfect low-carb snack. It’s a good source of vitamin K, which can strengthen bones. Fill celery with nut butter, or slice and add to salads. Pistachios are packed with protein, healthy fat, fiber, and B vitamins. But it's easy to inhale several handfuls. If you buy them in the shell, it slows you down so you don’t overeat. Nuts like peanuts, cashews, and almonds add more protein and healthy unsaturated fats to your diet. They're also easy to find in places with few good choices, like gas stations. If you're watching how much salt you eat, look for packages labeled "unsalted." Walnuts are very low in carbs. They are high in omega-3 fatty acids. Walnuts also give you copper, a mineral that helps your body make energy. These subzero heroes are great for sugar cravings. Spread whole grapes on a baking sheet, freeze until firm, and store in a zip-top bag. 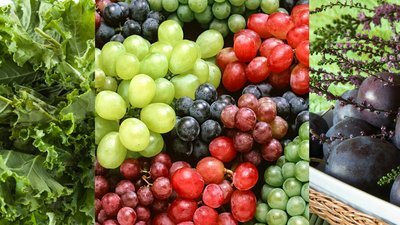 Red grapes have more antioxidants than green ones. Dried fruit is another good choice for a sweet fix. The natural sugar gives you energy, but the fiber keeps it from hitting you too fast. Dried plums (prunes) have lots of antioxidants. Apricots are a tasty low-sugar fruit. There are about 4 grams of sugar in each fruit. Orange veggies and fruits like apricots are rich in beta-carotene, an antioxidant that’s good for your brain. Strawberries taste sweet but they have the least sugar of all berries, 11 grams per cup. They’re also a great source of vitamin C, which helps keep you healthy. Kale is one of the most nutrient-dense foods on the planet. It has a ton of vitamins A, C, and K.
You can make kale chips in the oven or buy them at the store. They’re surprisingly tasty and have way less carbs than potato chips. Dark chocolate is decadent but good for your health. It’s high in plant nutrients. Chocolate with at least 60 percent cocoa has less sugar and more flavor than milk chocolate. That makes it more satisfying so you can eat less. If you like orange juice, try tomato juice since it has half as much sugar. Tomato juice is high in antioxidants. That can help you recover from exercise better. Horrocks, L. A., & Yeo, Y. K. (1999). Health Benefits Of Docosahexaenoic acid (DHA). Pharmacological Research, 40(3), 211-225. Benbrook, C. M., Butler, G., Latif, M. A., Leifert, C., & Davis, D. R. (2013). Organic production enhances milk nutritional quality by shifting fatty acid composition: a United States–wide, 18-month study. PLoS One, 8(12), e82429. Furchner-Evanson, A., Petrisko, Y., Howarth, L., Nemoseck, T., & Kern, M. (2010). Type of snack influences satiety responses in adult women. Appetite, 54(3), 564-569. Grodstein, F., Kang, J. H., Glynn, R. J., Cook, N. R., & Gaziano, J. M. (2007). A Randomized Trial Of Beta Carotene Supplementation And Cognitive Function In Men: The Physicians' Health Study II. Archives of Internal Medicine, 167(20), 2184-2190. Jalil, A. M. M., & Ismail, A. (2008). Polyphenols in cocoa and cocoa products: is there a link between antioxidant properties and health?. Molecules, 13(9), 2190-2219. Harms-Ringdahl, M., Jenssen, D., & Haghdoost, S. (2012). Tomato Juice Intake Suppressed Serum Concentration Of 8-oxodG After Extensive Physical Activity. Nutrition Journal, 11(1), 29.